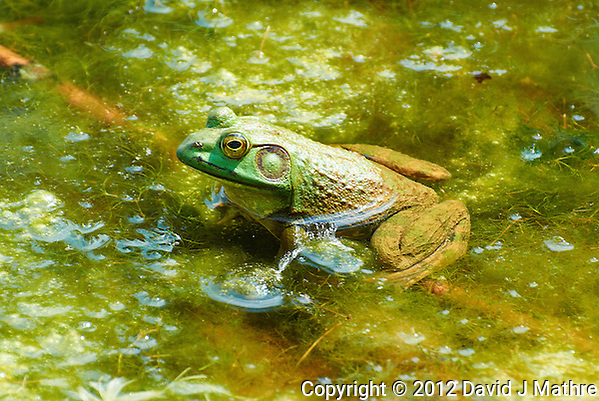 Kermit the Bull Frog in a Pond. Assignment One – Part Two. I decided to do a variation of this. Instead of going back to the Sourland Mountain Preserve with a big telephoto lens, tripod, and 36 MP camera, I decided to go light, but still wanting to take close-up images of butterflies and other wildlife. 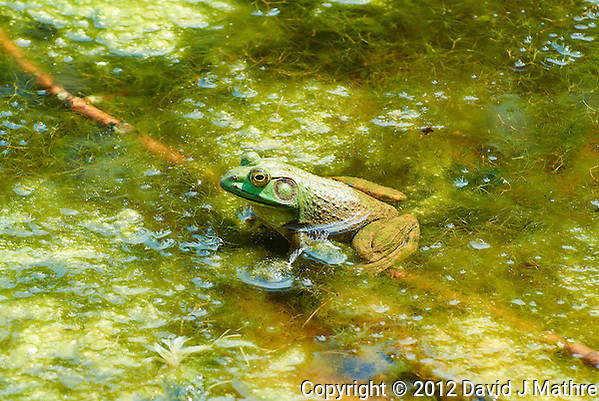 I took a Nikon 1 V1 camera with the FT1 adapter with the 70-300 mm VR lens. This kit is almost 20 pounds lighter than the high end kit I was going to take. 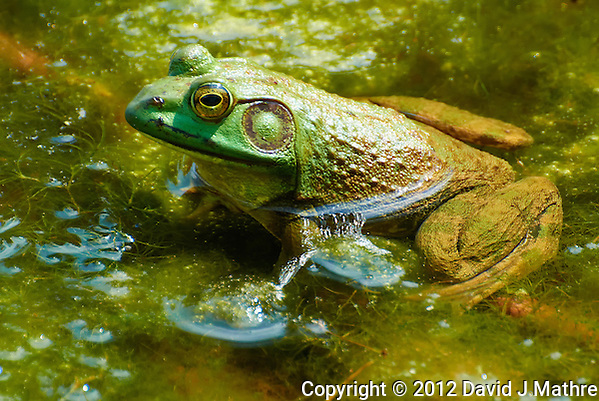 The following five images are of a bull frog at 70 mm, 100 mm, 135 mm, 200 mm, 300 mm. The field of view equivalent for this camera vs. a 35 mm sensor camera is ~190 mm, ~270 mm, ~365 mm, 540 mm, 810 mm. These are the full images (not cropped) although reduced to the 600 pixel width of the photo blog. I decided to do a variation of this. Instead of going back to the Sourland Mountain Preserve with a big telephoto lens, tripod, and 36 MP camera, I decided to go light, but still wanting to take close-up images of butterflies and other wildlife. I took a Nikon 1 V1 camera with the FT1 adapter with the 70-300 mm VR lens. This kit is almost 20 pounds lighter than the high-end kit I was going to take. 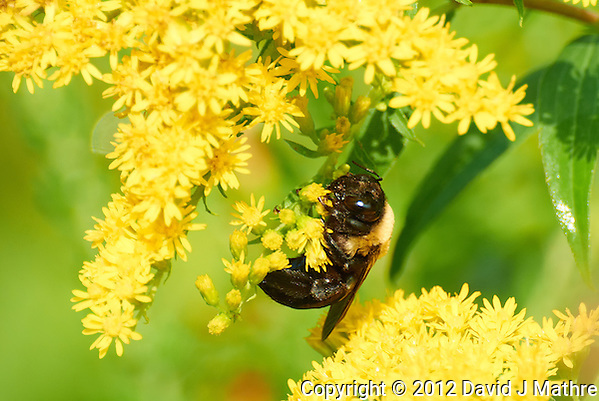 The following is one of the first images I took — a Bumble Bee in a Ragweed bloom. 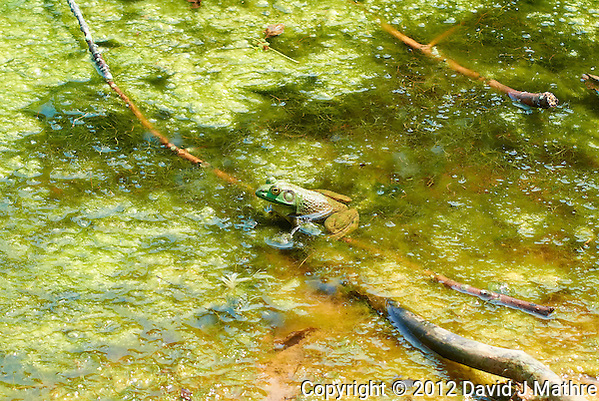 Bottom line, I did get some good images and was able to hike a lot farther from the trailhead. I was not able to get an image of a Clearwing Hummingbird Moth, although I saw at least four during the day. One problem with this light-weight kit is that it is not as fast to compose, focus, and then shoot the image. Another problem with this kit is that with the FT1 adapter, the VR is on continuously — draining the battery, and you can only focus with the center focus position. 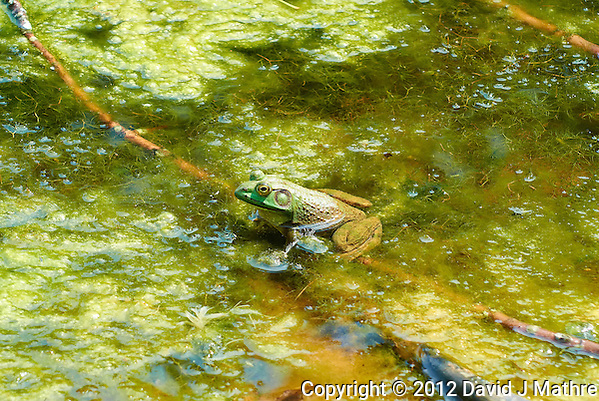 I will be adding more images in the near future.